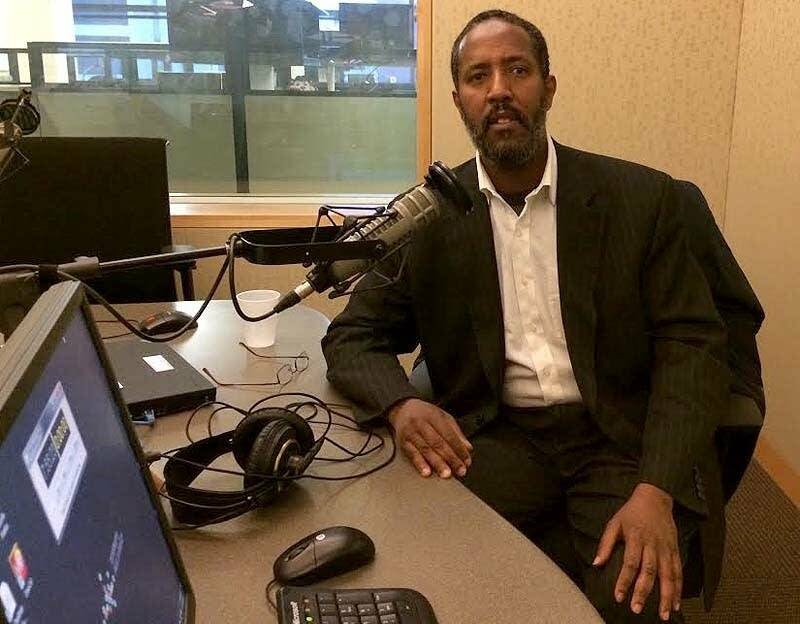 As an Islamic scholar in the Twin Cities, Abdisalam Adam is a key ally in the federal government's plan to combat homegrown extremism. But criticism toward Adam from his fellow Somali Minnesotans has escalated since last week, when six young Twin Cities men were arrested on charges that they tried to join the terrorist group ISIS. Adam, also a St. Paul schoolteacher, finds himself in a tough spot as he tries to build support in his community for a national experiment intended to prevent terrorist recruitment. "I'm willing to step up," he said. "Whatever it takes to prevent young Somalis or Muslims from joining extremist groups, I'm willing to stand up for and take the necessary heat." The program launched by U.S. Attorney Andrew Luger calls for bolstering afterschool and tutoring programs in hopes of fostering a sense of belonging for young Somali-Americans. The program aims to help young people feel comfortable with their identity in the United States so they will be less likely to join extremist causes. 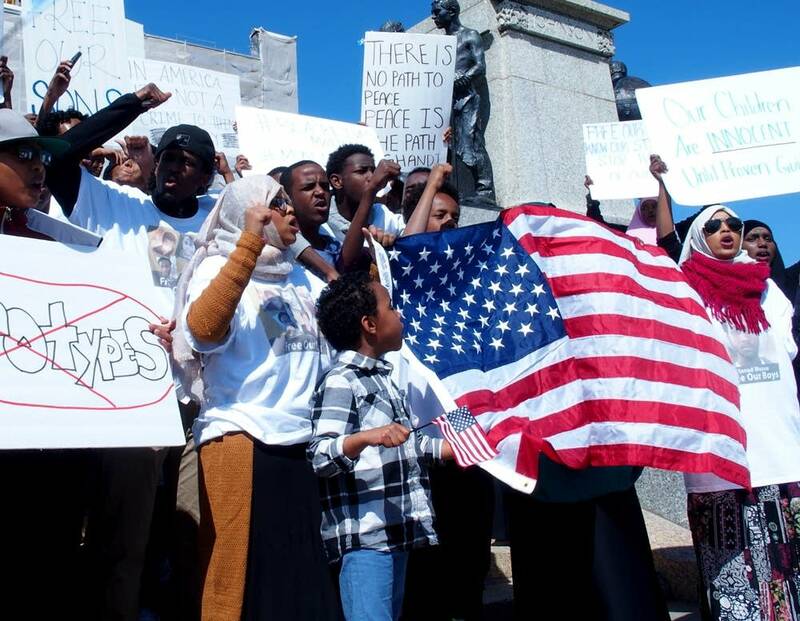 But some community members are expressing fears that such programs are a guise for government spying on Somali-Americans. That suspicion spread like a virus last week after federal authorities revealed that part of their case hinged on the work of a paid informant who secretly taped his friends' conversations. 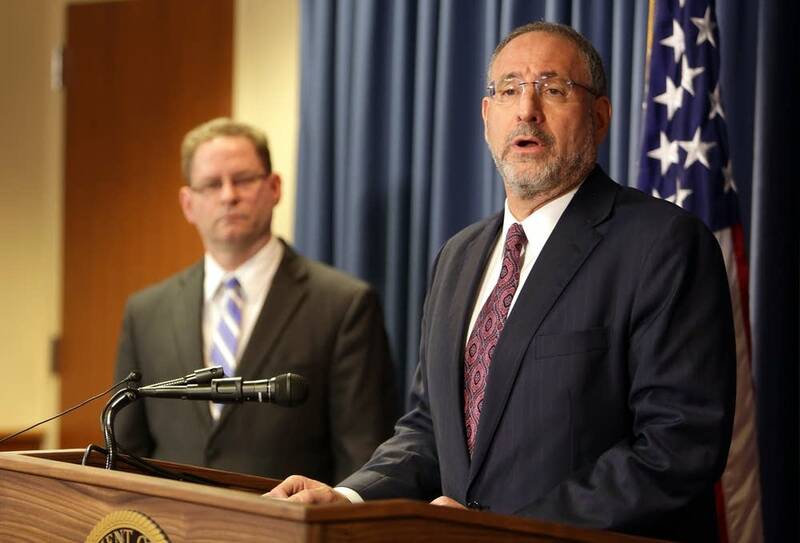 The informant's work helped federal authorities build cases against Mohamed Abdihamid Farah; Adnan Abdihamid Farah; Abdurahman Yasin Daud; Zacharia Yusuf Abdurahman; Hanad Mustafe Musse and Guled Ali Omar. News of the informant disheartened Kamal Hassan, a father of three from Edina who is related to a young man who earlier this year pleaded guilty to trying to enlist with ISIS. Once a supporter of the U.S. attorney's efforts, Hassan said he now opposes them. He read the criminal complaint against the six men and believes the government used the friend to entrap them — three of them are still in their teens. "Why would the government make it easy for these guys to do that?" he asked. "When the families confiscated [the passports] and prevented them from traveling, the FBI offered them fake passports, offered to buy their cars so they could buy tickets and travel. To us, that means they are facilitating and helping these kids break the law. They created the terrorists." Law enforcement agencies typically use informants for large conspiracy cases, and legal experts say it will be tough to argue entrapment in the ISIS case. Criminal defense attorney Joe Tamburino says that's because, according to the complaint, the six men had already taken steps to get to Syria long before their friend started to work for the FBI. "I think it's a huge long shot," said Tamburino, who does not represent any of the six men. "The problem with using entrapment [as a defense] is always, did the defendant have a predisposition to commit the crime? If you've got an organization that robs banks — say they start talking to each other about robbing a bank — and then you got a government agent in there who says, 'Yeah, I'll go along with you' ... Well, the defendants were already predisposed to rob the bank." No matter the legal arguments, many Somalis have a special distaste for informants and are sensitive to government overreach. In the 1970s and '80s, Somalia's then-dictator, Mohamed Siad Barre, ruled with fear and intimidation. His militia provided security and social services. But to ensure loyalty, the beret-wearing militia members encouraged youth to spy on their families, schools and mosques. Jaylani Hussein, executive director of the Minnesota branch of the Council on American-Islamic Relations, said he doesn't fault the FBI for relying on an informant as part of the investigation. But he said the six arrests last week are creating a "toxic" climate for Luger's pilot program. Historic fear of the government, and even paranoia, already were prevalent in the local Somali community, Hussein said. Once the community learned an informant was involved in the investigation, parents rightly or wrongly began to worry about their own children becoming ensnared. "That's the challenge the U.S. attorney does not see," Hussein said. "The conversation should be: Are these programs going to work? The organizations that would benefit from the funding and make a great difference in the community are not going to line up for this money because it will have some cloud over it, given that the FBI and the U.S. attorney are involved. It would be considered 'dirty money.'" But Ahmed Ismail has no qualms about accepting federal dollars to prevent kids from becoming radicalized. The 42-year-old soccer coach for the West Bank Athletic Club has 45 boys on his team — and 200 more on the waiting list, he said. The money would allow him to expand his reach. Ismail said he's been taken aback by some of the skepticism in his community toward the pilot program, especially concerns about surveillance. "I wouldn't spy on anybody," he said. "The pilot program, the way I understand it, is about supporting the organizations who deal with the youth. At the beginning, most of the imams were excited about the pilot program. I don't know why they've backed off." 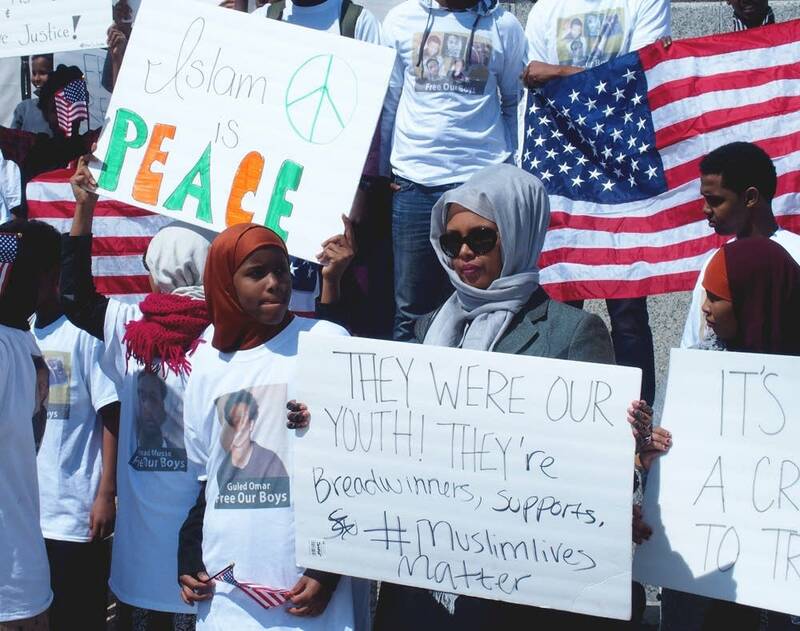 Even some younger Somali-Americans, born in the United States, remain suspicious of outreach programs, given the complicated history that Muslims have had with their government since the terrorist attacks of 2001. The sentiment spilled out at the Capitol last weekend, where about 100 family and friends held a protest in support of the six men arrested. Many wore T-shirts that said, "Free our boys." They chanted, "We're not ISIS! We're not terrorists!" Some cautioned their fellow Minnesotans to withhold judgment until the cases are resolved. One component of the Twin Cities pilot program calls for youth workers to roam school hallways and cafeterias in Minneapolis public schools to befriend students who might seem isolated and disaffected. Aman Obsiye, a community advocate and recent graduate of the University of Minnesota Law School, said he worries the youth workers will misinterpret typical teenage behavior as radicalism. "Let's not put a flashlight on Somali-American kids during their lunch hour when they're hanging out with their friends," he said. "Now their friends are looking at them like, 'What did Abdi say? Or what did Mohamed say? Could this be interpreted as being terrorists?'" Minneapolis school officials emphatically say the program would not be used to spy on kids or collect evidence for law enforcement. The youth-worker program is already in place in four schools — aimed at supporting students of all ethnic backgrounds — and appears to have helped reduce the number of behavior referrals, said Courtney Kiernat, the district's director of external partnerships. Luger declined to comment for this story, but has said in previous interviews that no part of his pilot program would include surveillance. He said he wears two hats, and has no problem keeping them apart. "The investigative work that we do is designed to investigate criminal activity," he said. "The community engagement work we're doing is completely separate, and is really built out of concerns from the community about how together we can stop the cycle of recruiting." Luger's office is open to providing written assurances that the community work will not involve surveillance. A 15-member task force of Somali-Americans, including Abdisalam Adam, is preparing to roll out the broader program. Still, Ilhan Omar, a social justice advocate and Minneapolis City Council aide, said she's not convinced that the afterschool offerings Luger is proposing will have any effect on deterring young people from extremism. Omar, 33, was friends with some of the young men who joined the Somali terror group al-Shabab several years ago. When they were teenagers, she said, they were just normal kids. They were popular, went camping and played sports. "They were happy young men," she said. "And then at some point, something happened. And that is what needs to be researched and studied. What is happening to make them feel disconnected from a community that has birthed them, that has nurtured them?" Experts say there is no profile of who might be radicalized. Even the young men arrested last week were social, with high school diplomas. Some were attending college. The program may not be the antidote to terror recruitment. Abdisalam Adam, the St. Paul imam and schoolteacher, knows that. But he said the money and attention that would be given to Somali community programs has the power to lift kids up. "The need for resources is obvious," he said. "It will address the issues of economic deprivation, upward mobility, and a sense of being involved, engaged, and becoming part of the American Dream." Adam is convinced that over the long run, kids who are touched by the program will grow up to feel integrated and accomplished — and, he hopes, impervious to a terrorist group peddling violence.